You know the drill by now. 10 items, all for $10 or less (save for shipping). Read ’em and shop people! 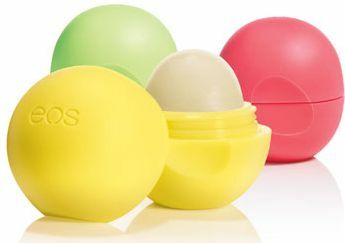 After writing about these purse-friendly lip balm pods around the holidays, I’ve seen them pop up all over the place – including grocery, drug, and clothing retailers. Haven’t spotted them yet? They’re way affordable at New Brunswick beauty boutique Made You Blush, and come in four summer-friendly flavours including Honeysuckle Honeydew and Lemon Drop. 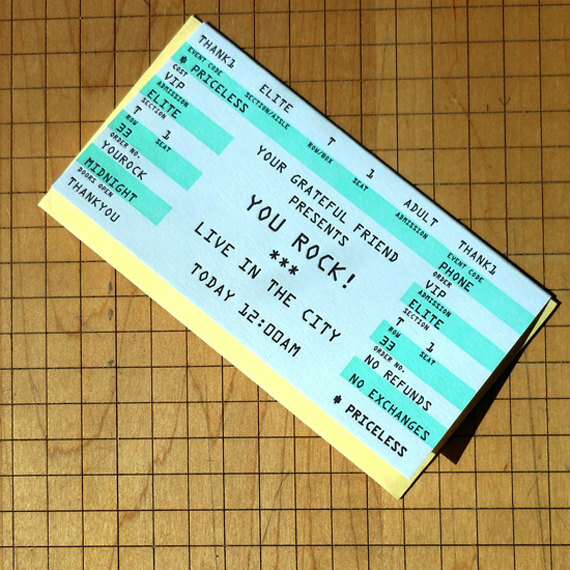 I always say, if you’re going to do greeting cards, do ’em right – and this concert-ticket-inspired thank you card fits the bill. Did someone recently hook you up with fab tickets to an event, a great place to stay over a holiday, or even a service like lending a helping hand while you reno your home? This is a standout way to express your gratitude. Got a guy that still can’t stand crusts? 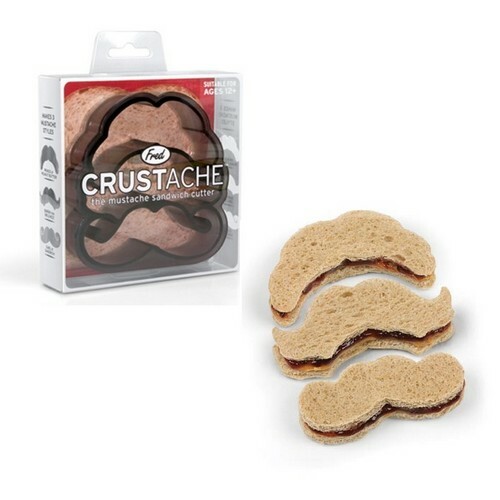 Pick up this snazzy mustache-themed sandwich cutting set to concoct 3 stache sandwich shapes – perfect for kids that love to play with their food, or full-grown guys that appreciate a good party sandwich in their lives. 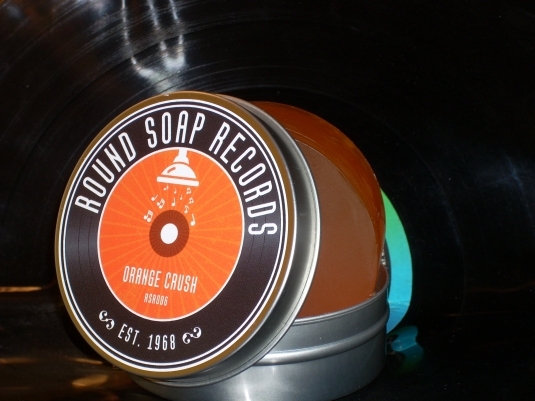 Truth be told, the fragrance of this circular soap was totally arbitrary – all seven scents from Round Soap Records get my shower senses tingling, as does the ultra-hip record themed packaging. Sweet hostess gift for your music-lovin’ pal (male or female, natch). 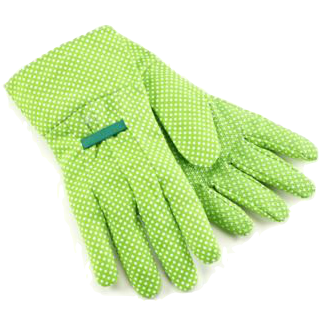 If mom’s gloves are looking a little ratty come August, replace them with a cheap and cheerful pair to get her through the remaining harvest and spring pre-planting periods of the gardening cycle. Store precious memories, spare coins, or even goodies like your extra watches, cufflinks, or bracelets in these pint-sized tins. They look great on grown-up vanities thanks to their retro throwback appeal, but young ‘uns will also get a kick out of their lo-fi style. 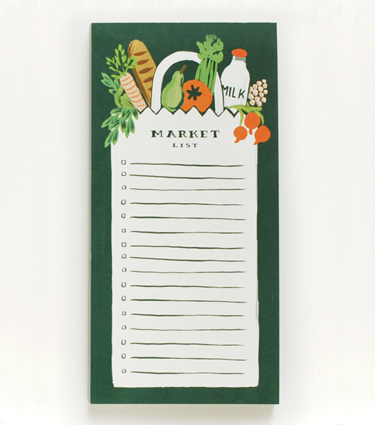 Handy tip to those that handle the grocery shopping – keep a pretty pad like this on your counter or fridge and you won’t hesitate to jot down to-buy items when you run out during the week. Come your designated grocery shopping day, it’ll be a snap to get the essentials. When shopping for showers, a lot of people overlook the hostess in favour of the bride. 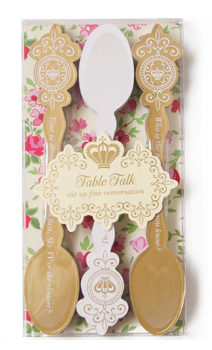 Not so with these teaspoon-shaped conversation starters, that’ll serve to both pay homage to the host and get the usually mixed-bag shower attendees to mix and mingle a bit. 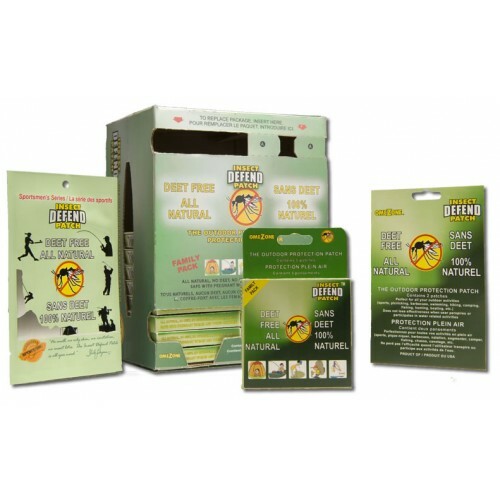 A must-have for any outdoorsy types on your list – or even those traveling to an exotic destination. Applying one of these all-natural patches anywhere on your body creates an invisible yet impenetrable force field for pesky bugs and bloodsuckers looking to ruin your holidays. It’s like granting super powers in patch form! Summer ain’t over yet kiddies, and even if you feel like it’s too late in the game to buy sandals for this season, there’s always next year. And you can bet, these timeless strappy sandals will certainly be in style next year. Available in four neutral shades (all-brown ‘Chestnut’ not shown) these are a great choice for any gal pal on your list.